Modern meets mountain at the Adventure Hotel in Nelson, one of our lodging partners on our signature West Koot Loop cycling tour. With a structure that goes back more than a century, the hotel balances heritage charm with present day amenities. Previously known as the Grand Hotel, art deco touches are still visible in the multiple buildings that form today’s Adventure Hotel. It’s one of more than 50 buildings on the Nelson Heritage Register. We like the Adventure Hotel for it’s trendy vibe, communal feel, and selection of on site eateries. Plus, it’s central location makes a great base for exploring Nelson before our bicycle tour gets under way. 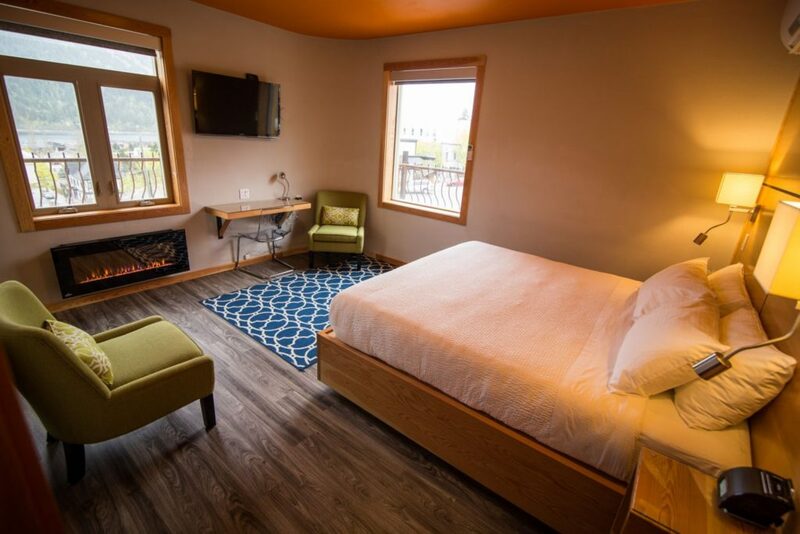 The rooms have been recently updated to provide guests with a comfortable stay in the heart of downtown Nelson. Deluxe rooms feature plush sheets, air conditioning, and access to one of the best rooftop patios in town. In a town known for coffee shops, the Empire Café is one of Nelson’s favourite joints. The solarium features a rolling door patio, while the café itself serves up freshly roasted Stumptown coffee, delicious baked goods and morning treats. Our guests are treated to a private breakfast next door in Louie’s Lounge, where we fuel up and go over the first day’s route to Kaslo. 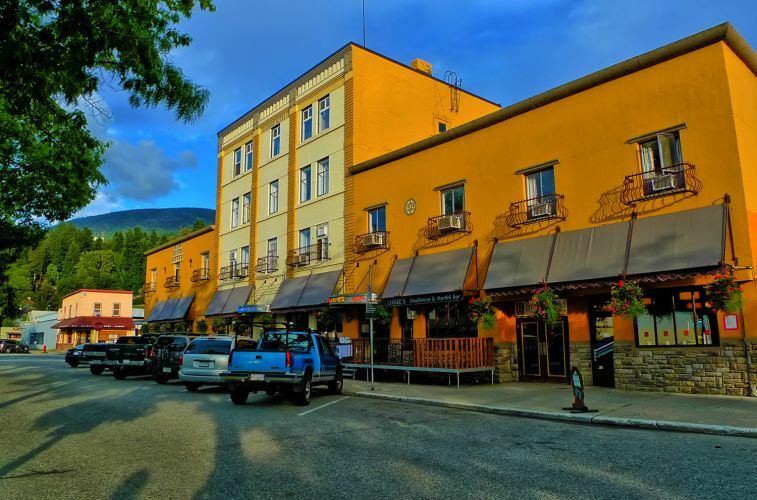 We invite guests to discover the charms of the Adventure Hotel and a good night’s sleep before our multi-day bike tour in one of British Columbia’s most beautiful locations!